We, the International League of Peoples’ Struggle, condemn as a brazen violation of the national sovereignty of the Venezuelan people the US vilification of the Bolivarian Republic of Venezuela as a “national security threat” to the US, and the US sanctions on seven officials of the Venezuelan government. US imperialism is the one being hostile to and threatening Venezuela. It is intervening and interfering in the internal affairs of Venezuela. US instrumentalities and the local reactionary forces manipulate the economic and political situation in order to sow social disorder and seek the overthrow of the democratically elected officials of the Bolivarian and Chavista government of Venezuela headed by President Nicolas Maduro. We demand that the US revoke its unjust and malicious misrepresentation of Venezuela as a “national security threat” to the US, end the sanctions it has imposed on Venezuelan officials and stop directing and funding local reactionary forces to carry out provocations and fabricate charges of human rights violations. The Venezuelan people and their government have the sovereign right to adopt all necessary and timely measures to defend themselves from the attempts of US imperialism and its reactionary agents to violate the national independence and socialist aspirations of Venezuela and reverse all the advances made by the people towards national and social liberation. We the ILPS support the just cause of the Venezuelan people and government against US imperialism and the reactionary forces . In this regard, we call on all our global regional committees, national chapters and member-organizations of the ILPS to undertake information campaigns and protest actions in preparation for bigger mass actions in concert with those to be held on a global scale on April 19. 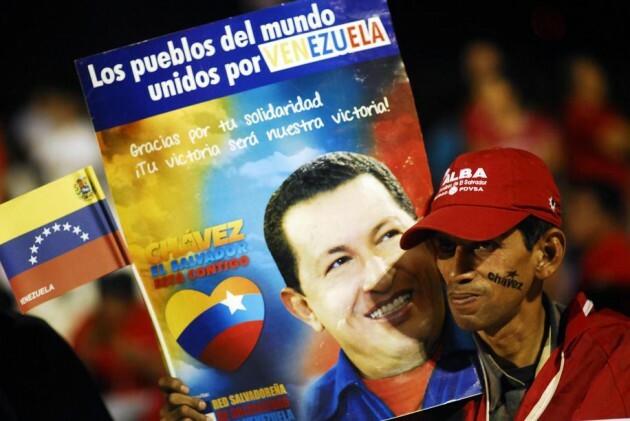 We have a full month ahead to arouse, organize and mobilize the people within our reach in order to maximize our participation in the World Great Day of Solidarity with Venezuela and Condemnation of US Intervention on 19 April 2015, with the slogan “Peoples of the World United on Venezuela”.